So What’s The Deal With Melbourne Beach Gardens? Hey there- my name is Brian and I run Melbourne Beach Gardens. You may be wondering what we do here..
1) We grow and sell live plants that can give your Florida yard the exotic tropical jungle look. This is our area of expertise- plants that we work with specifically to create a lush rainforest look. 2) We import and sell colorful and unusual fresh cut tropical flowers for decorative use in the home, office or workplace. These are available as pre-bundled bouquets and we also make beautiful tropical flower arrangements for events, parties, home decor or businesses. We offer these flowers at very competitive rates compared to your common florist. Want fresh flowers in your home every week? We can do that. Need a few knockout tropical arrangements for an event you are planning? No problem- your guests won’t believe their eyes. Our flowers are exactly what you would see on a tropical vacation to Tahiti, Hawaii or Costa Rica, or perhaps decorating your cruise ship to the Caribbean. We import our flowers directly from the jungles of Central America, which is why you just can’t find what we offer anywhere else! Contact us directly for your tropical floral needs – see information below. 2 Responses to So What’s The Deal With Melbourne Beach Gardens? 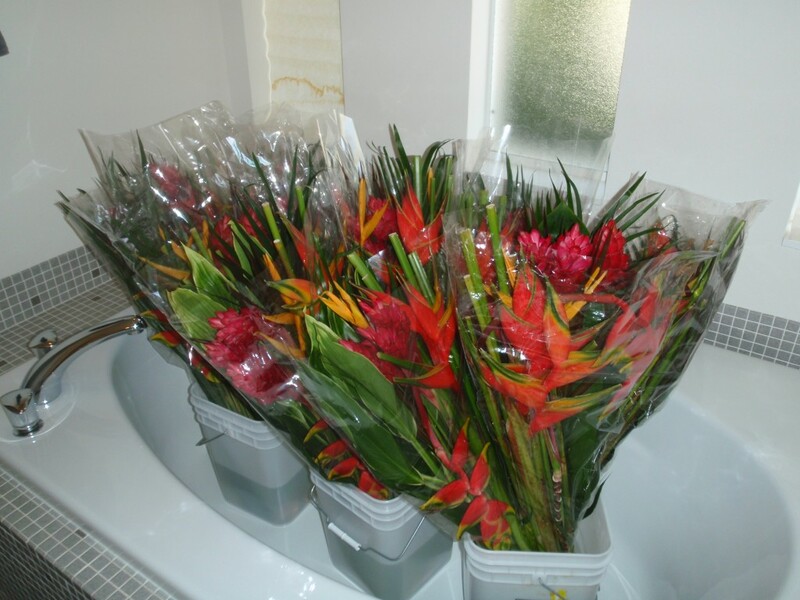 It is always a pleasure supplying RedStick Golf Club with tropical flowers!